Article: Do you paint your own nails? 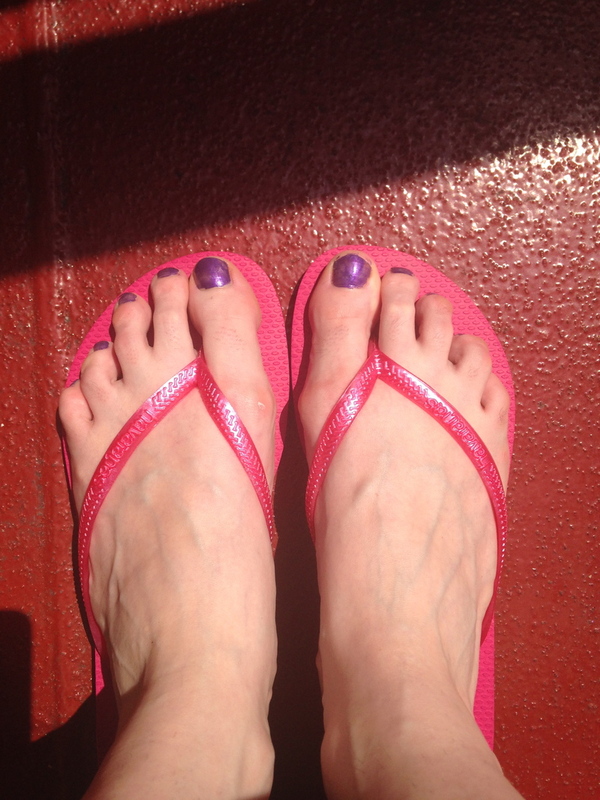 Caption: This person painted their own toe nails in a hurry. Photo taken in the outdoor area on a ferry.